YEREVAN, FEBRUARY 19, ARMENPRESS. 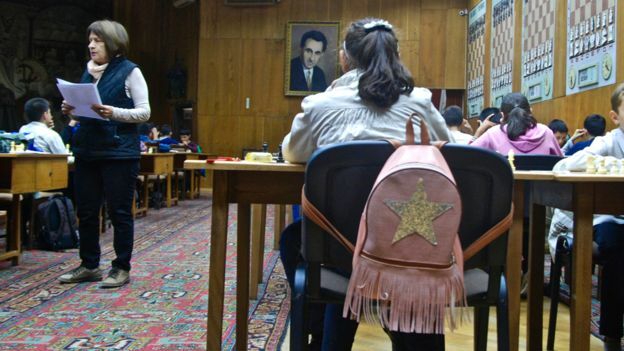 BBC has published an article on Armenia as the first country to have introduced compulsory chess lessons in schools since 2011. “With a population of a little over three million, Armenia has one of the highest numbers of chess grandmasters, per capita, in the world”, the article says. Author Emma Levine starts the article in the following way: “I was trapped. Surrounded on all sides, and there was no escape. The king's capture was imminent - and my bishop was of no use this time. "Shakh yev mat," Mikhael announced triumphantly. Check mate - and my victor was just 11 years old. It wasn't surprising - a few days earlier Mikhael had been crowned the national schools' chess champion, adding to his other trophies. He'd been playing since he was five. "I learned from my father and grandfather - and then, weekly lessons in school," he told me in the family's apartment in Yerevan, Armenia's capital”. 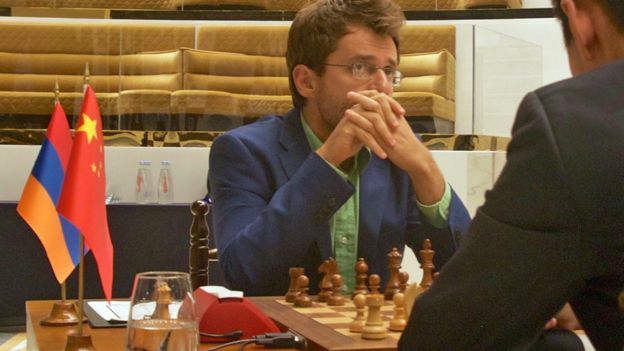 The 11 year old mentioned GM Levon Aronian to be one of his heroes. "Mikhael wants to be a world champion. He watches international games to perfect his chess," she told me over tiny cups of soorj - strong Armenian coffee. "We don't put pressure on him - it's what he loves doing and that's the most important thing." 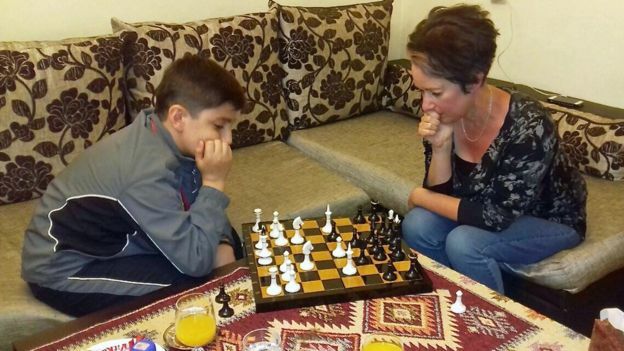 Since 2011, all children in Armenia from six to eight years old have compulsory chess lessons. It's the first country in the world to include it on the national curriculum. 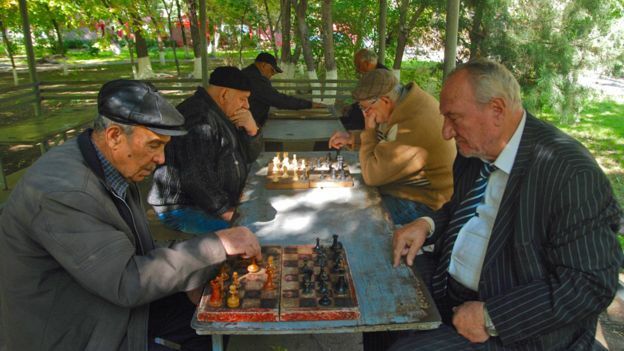 Emma Levine then heads to the Yerevan Chess House, where she joins a group of people in the Circular Park who watch a game of chess played by elderly men. “ I head past them to Chess House and the real hub of activity - upstairs in the main hall, rows of long tables are lined with chess sets, with about 200 children deep in play. The room is silent, the children's behaviour impeccable, with no tantrums or raised voices. All look utterly immersed in the games - which last up to two hours - their faces wearing the serious expressions of professionals. The children record every move in their notebooks. But when 10-year-old Davit makes a blunder, there are tears - and then a motherly arm around his shoulder from Maria, one of the supervisors. "They are just children, after all!" she says, smiling. 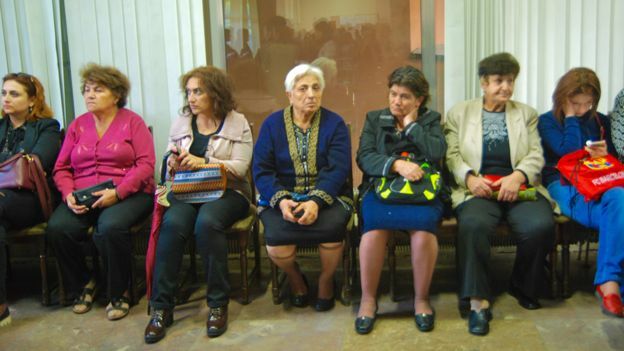 Downstairs in the waiting area, scores of parents, grandmothers and a few uncles wait patiently for the children to emerge from the hall, once their matches are over. You can feel tension mounting as each one walks slowly down the carpeted steps to greet their mum. Win lose, or draw, each gets a hug”. Emma Levin didn’t miss that World Champion Tigran Petrosyan’s bust is erected outside the Chess House. "Armenia has always enjoyed a strong link with chess, but Tigran's victories were the revolution for us," explained Smbat Lputian, president of the Armenian Chess Academy. "Since our independence from the USSR in 1991, we have made fantastic progress," he says proudly. According to Levine, Lputian was the driving force behind making chess mandatory in schools, with the support of the Armenian President, Serzh Sargsyan. "So what was the main reason?" Levine asked Lputian. "The most important quality of chess is that it's a fair game, so young children start learning a game which is clean and honourable, and it teaches them good behaviour. The child is constantly making strategic decisions - assessing the situation before making a move." He paused. "I think this is a great benefit for society as a whole." 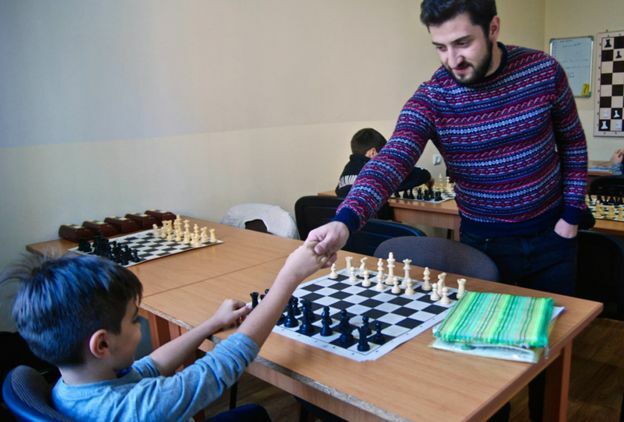 Armenia now has more than 3,000 qualified trained chess teachers in its schools. Many other countries want to follow suit, according to Lputian. Lputian told Levine about a new chess scientific research institute, due to open in Yerevan later this year, where scientists and psychologists will research the impact of chess in the learning process. Through their dedication, Mikhael and thousands more children here have helped put Armenia on the chess-playing map.